The International Business Company is the business form chosen by foreign investors who are interested in Belize offshore company formation. While entrepreneurs can choose to open a new company, they can also buy a shelf company in Belize. The shelf company, or the ready-made company, is a business entity that has already been incorporated and that has not been involved in any business operations up to the time of the purchase. Our Belize company formation agents describe the characteristics of the shelf company and why you should consider purchasing such a legal entity. Moreover, a shelf company is also referred to as an aged company precisely because it has been incorporated for some time, although it hasn’t been used for business activities. This can provide another important advantage, especially because the IBC has more credibility and respectability. - Quick business engagement: with a shelf company, investors can start trading and making business transactions almost immediately (more specifically, as soon as the transfer documents are submitted). - Easy procedures: the company that offers the legal entities for sale has handled most of the procedures related to incorporation; this means that investors will not need to waste any time choosing an available name or seeing if it is already taken; of course, those investors who do need a certain trade name can choose to change it once the ownership is transferred to them. - Credibility: as stated above, an important advantage of the shelf company is that it has accumulated longevity; most of these businesses are incorporated and left unused for years and this adds up to the company’s credibility in relation to other businesses and even banks or other financial institutions. - Clean business history: the shelf company is a legal entity with no bad credit history and this is also an advantage for corporate loans or for obtaining investment capital. The fact that the company has been in business for several years can be important and it can be a real advantage, depending on the business field in which the company operates. Entering into business agreements, signing contracts with manufacturers and distributors can be easier when the company has longevity. This is a key factor to the business image and many investors can use this to their advantage when deciding to open a company in Belize. Investors who do not wish to go through the process needed to open a company in Belize can buy a ready-made company with the help of our experts. There are many companies that provide shelf company services in Belize and due diligence is recommended when deciding to purchase a company. Some of these companies are offered with a certificate of non-trading, a document that confirms that fact that they have not been used for any business activities and that they have no debts or liabilities. Before signing the purchase agreement, it is important to have a clear image of the company’s history and receive information about the previous management as well as details about the requirements for the chosen business form. In most cases, the company up for sale will be an IBC, a company that is exempt from tax in Belize and that has minimal accounting and reporting requirements – nevertheless, it is important to see how these managerial issues were handled in the past and to understand what your future attributions as a company director will be. It is recommended to review the purchase agreement together with our team of Belize offshore company formation agents. 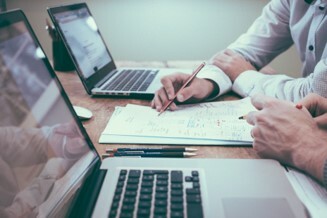 When needed, you can also refer it to a lawyer who specializes in company law and can offer additional information about the transaction, especially in terms of the liabilities you will undertake as a company director and in terms of taxation in the country of origin (for international business owners). Once the transfer is complete, you should secure all of the documents that confirm your ownership of the company. A final and important step has to do with the transfer of the bank account. This is a stage during which you will want to make sure that you remain the single bank signatory for the corporate bank account. The shelf company can be managed by the beneficial owner, the investor who performs the purchase, or by a nominee director. There are a number of important issues to consider when selecting a nominee director service, starting with the fact that his involvement in the company purchase procedure should commence from the very beginning. The fact that the nominee’s name appears in the company documents will allow for a full level of confidentiality. Investors can discuss more about the nominee director and nominee shareholder services with one of our agents. These services are recommended for those investors who do not wish to make public the fact that they are involved in business operations in Belize. The management of the purchased shelf company will take place as per a nominee director statement and a power of attorney concluded during the early stages of the shelf company purchase process. Our agents who specialize in Belize company formation can help you purchase a company with a unique name, that has been registered and has a final configuration. Furthermore, we can help you apply for the needed special permits and licenses, as some business activities in Belize are regulated. The choice between a shelf company and a new company can be made according to the specific business goals and the urgency for beginning the commercial transactions. When investors are in no hurry, they can open a company in Belize and decide upon all of its characteristics: the business name, the registered address and registered agent and other details. The main benefit of a shelf company is that, even in a jurisdiction such as Belize where the company formation process is fast, it does save time and can, therefore, be advantageous for investors. Contact us for more information about special Belize shelf-company packages and more details on the advantages of opening an offshore company in Belize.